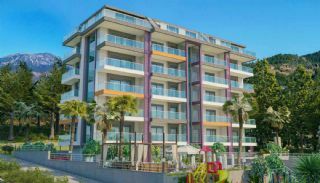 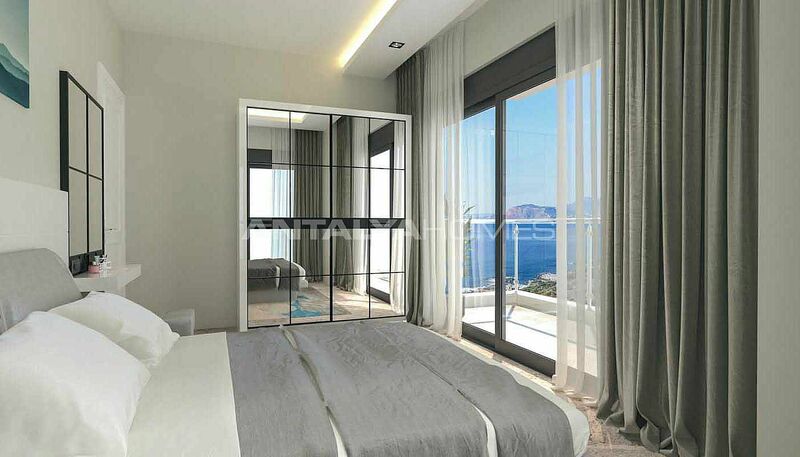 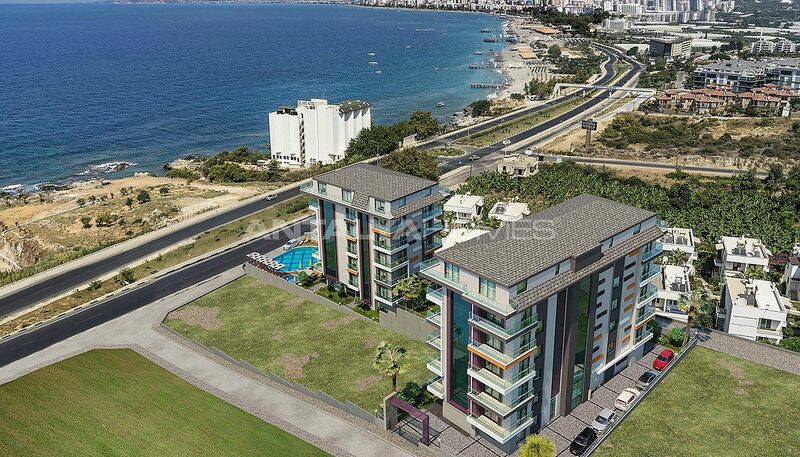 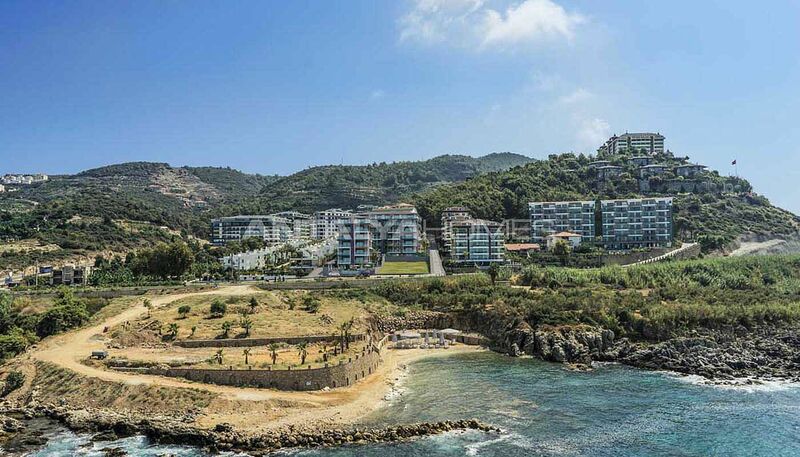 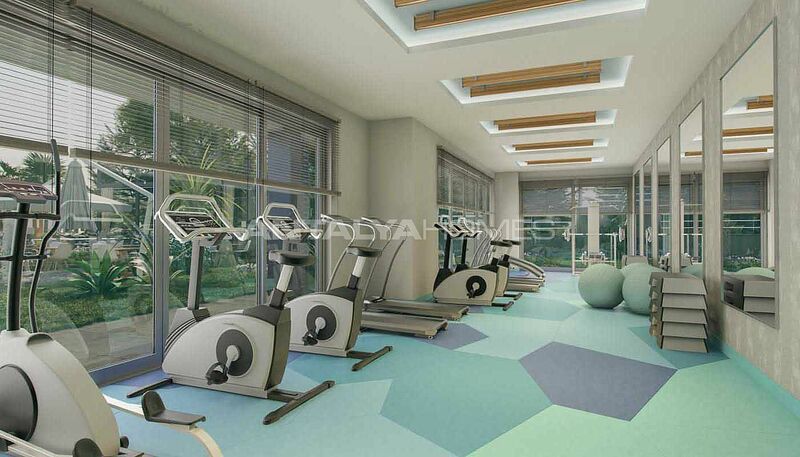 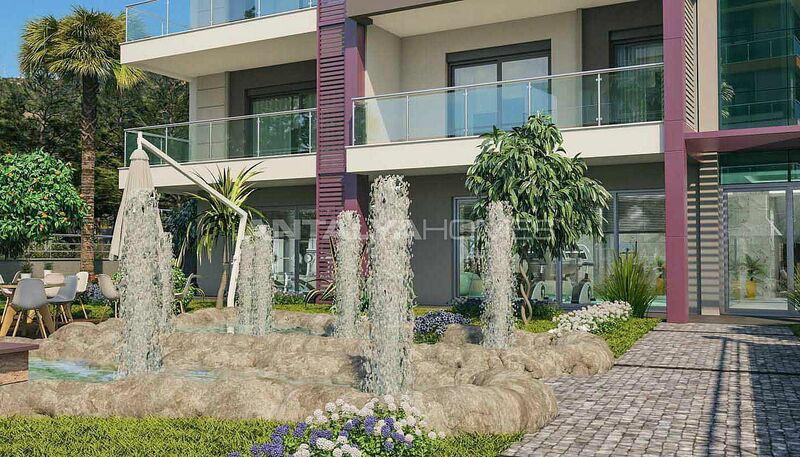 Mediterranean view properties are located in Alanya, Kargıcak center by the seaside. 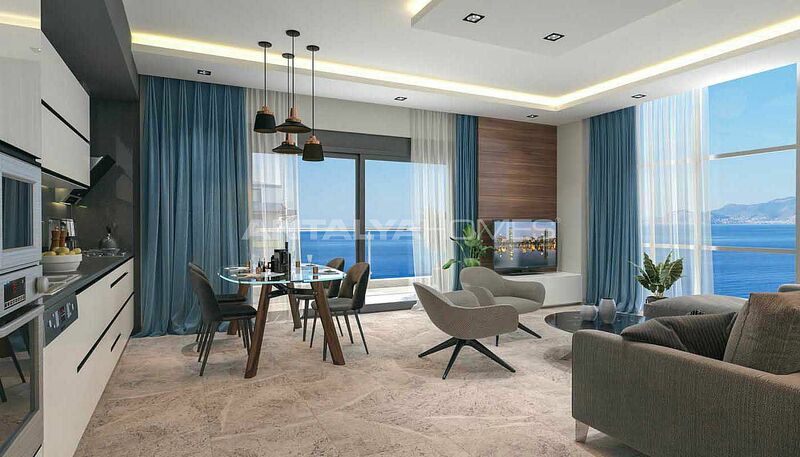 Alanya is the most important tourism center in Turkey. 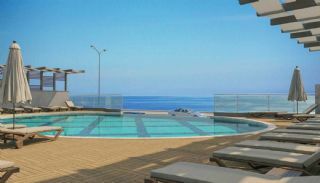 This district is famous for beaches, various activities, social life and natural beauties. 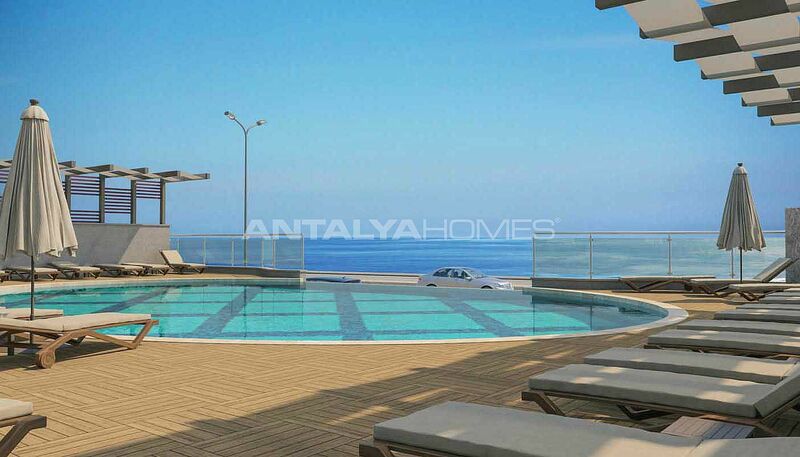 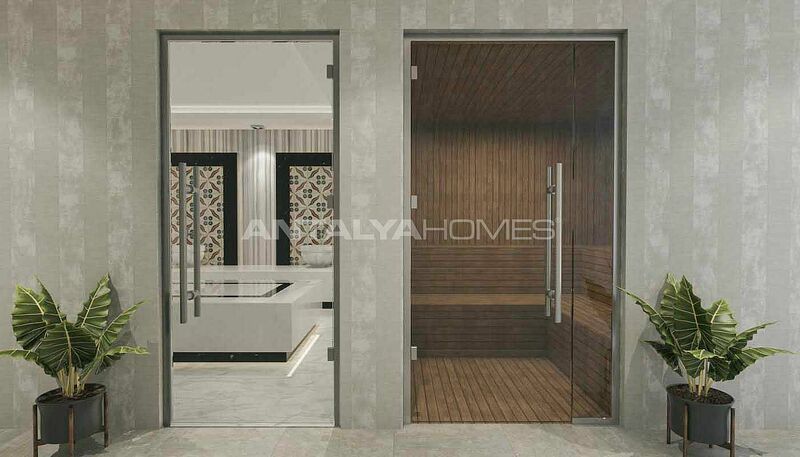 Today, Alanya has high investment potential in the real estate sector thanks to its high preference by many people. 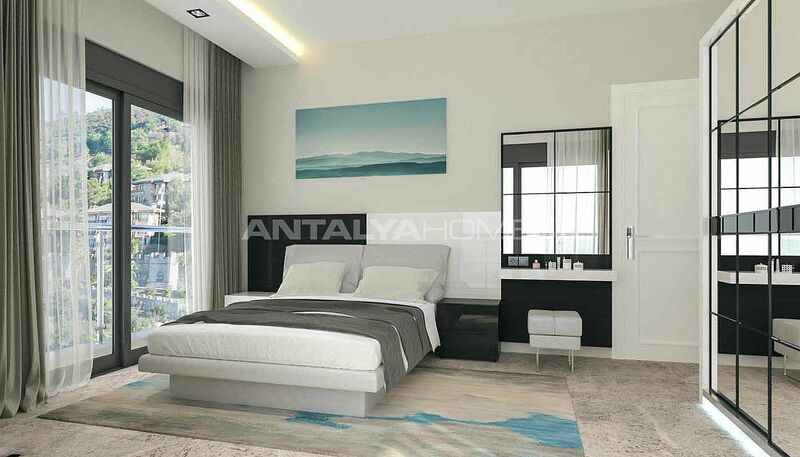 If you decide to invest, check out Alanya properties for sale. 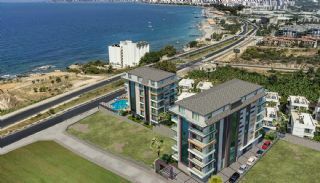 Key-ready properties offer high investment opportunity thanks to its central and seaside location. 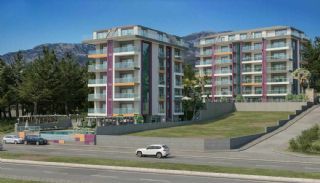 All social and local amenities such as school, shop, hospital, cafe, restaurant and pharmacy are a short distance to the apartments. 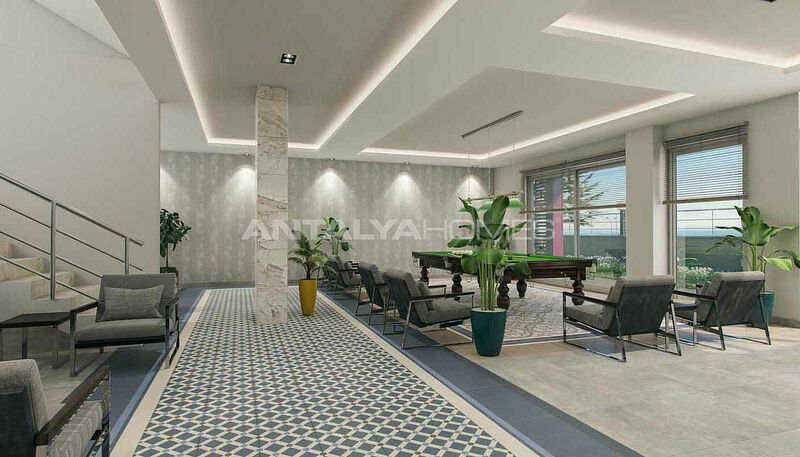 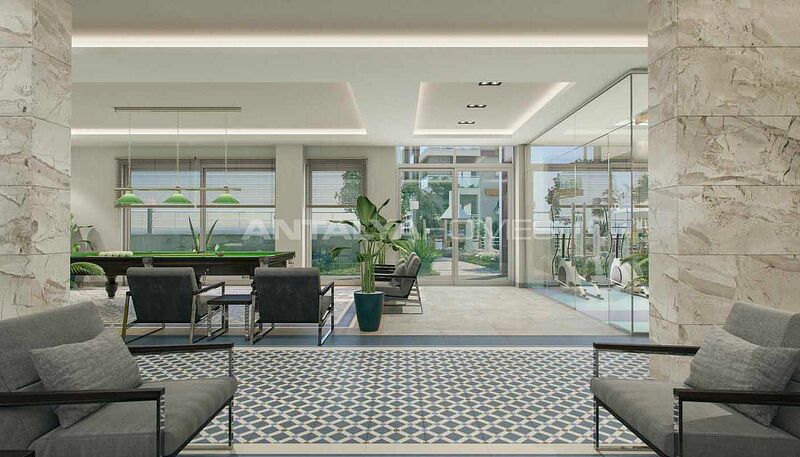 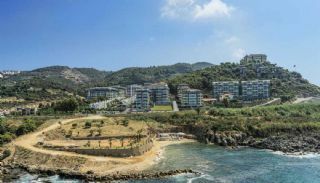 Antalya International Airport is 140 km, Gazipaşa-Alanya Airport is 20 km, Alanya center is 12 km and Cleopatra Beach is 13 km away from these apartments. 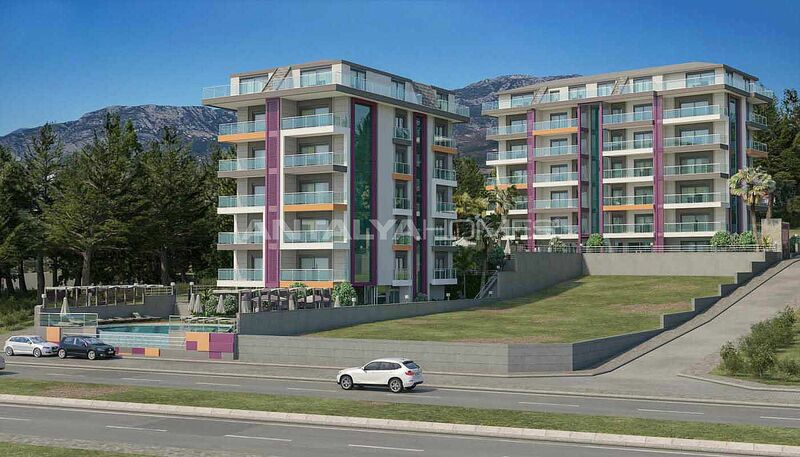 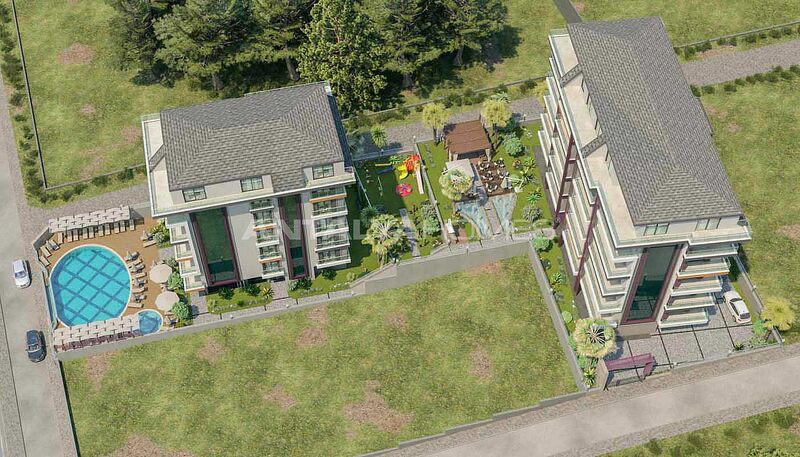 The 6 storey residential complex is built on 2.170 m² land area. 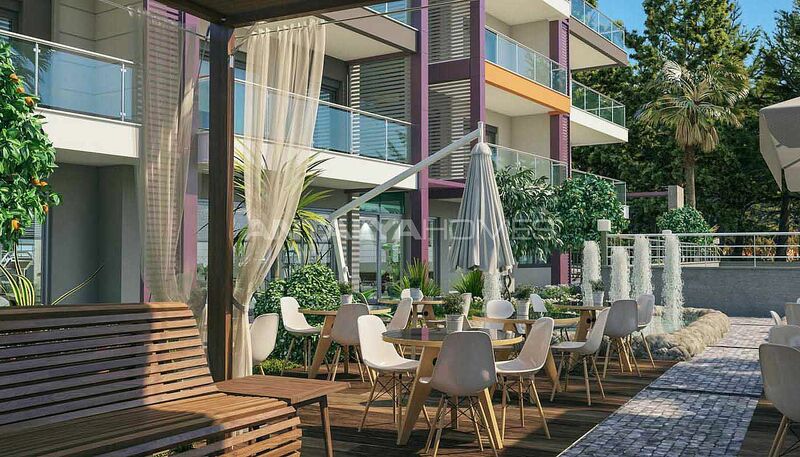 The complex consists of 2 blocks and totally 32 apartments. The complex has general and social facilities like the walking tracks, large parks and garden, sport area in the forest, outdoor swimming pool, vitamin bar, sauna, Turkish bath, jacuzzi, massage and steam rooms, relaxing areas, fitness center, cafe, restaurants, table tennis, billiard, children’s playgrounds, generator, free internet in communal areas, technical services, elevator, outdoor car parking areas, 24/7 security staff and closed-circuit video system. 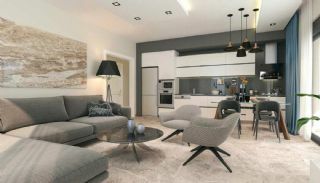 1 bedroom apartments are 69-85 m² with a living room, an open-plan kitchen, a bathroom and a balcony. 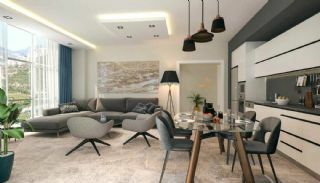 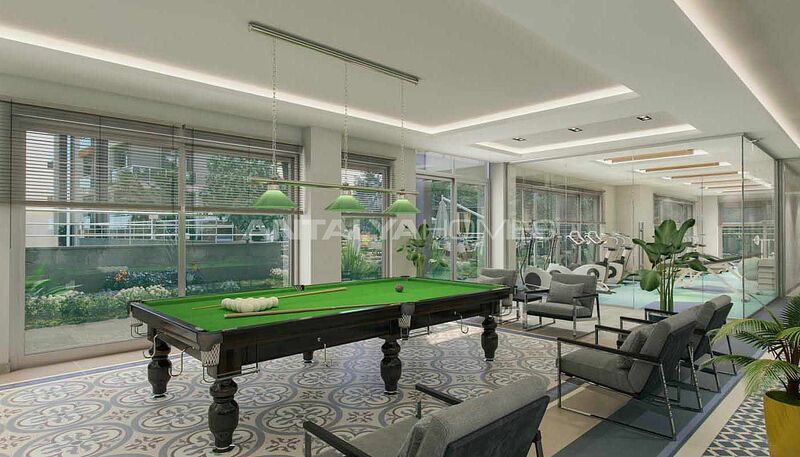 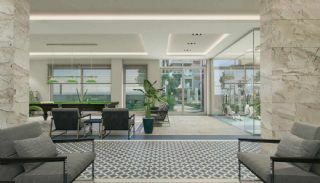 2 bedroom apartments are 108 m² with a living room, an open-plan kitchen, a bathroom, an en-suite bathroom and 2 balconies. 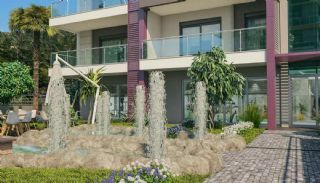 2 bedroom duplexes are 170-180 m² with a living room, an open-plan kitchen, 2 bathrooms, an en-suite bathroom, a balcony and a terrace. 3 bedroom duplexes are 226 m² with a living room, an open-plan kitchen, 2 bathrooms, an en-suite bathroom, a dressing room, 2 balconies and a terrace. Seaside apartments offer luxury and quality life. 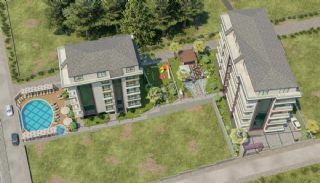 Each apartment has a well-developed infrastructure. 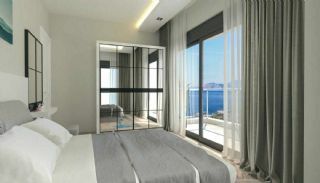 These apartments have a specially designed kitchen, central satellite TV system, hot water, air-conditioning in each room, steel door, wide and sliding balcony doors overlooking the sea, lacquered internal doors, aluminum window, automatic blinds, led and spotlighting, video intercom, internet, heat insulation and shower cabin.